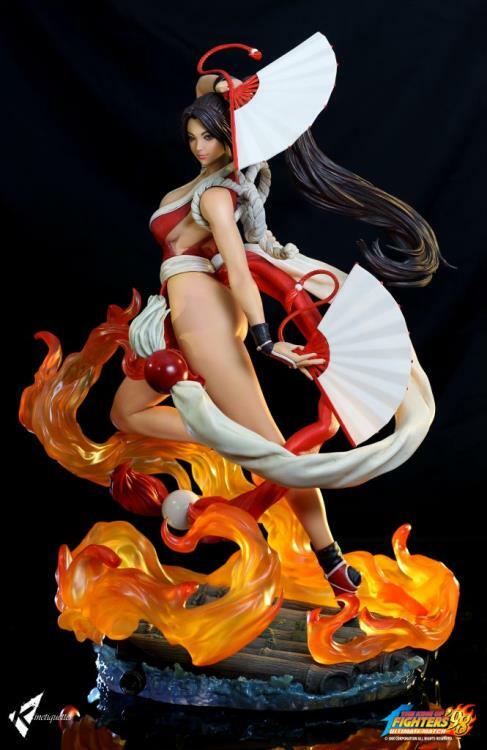 This King of Fighters Mai Shiranui diorama has been designed and supervised by Stanley "Artgerm" Lau at every stage of development. 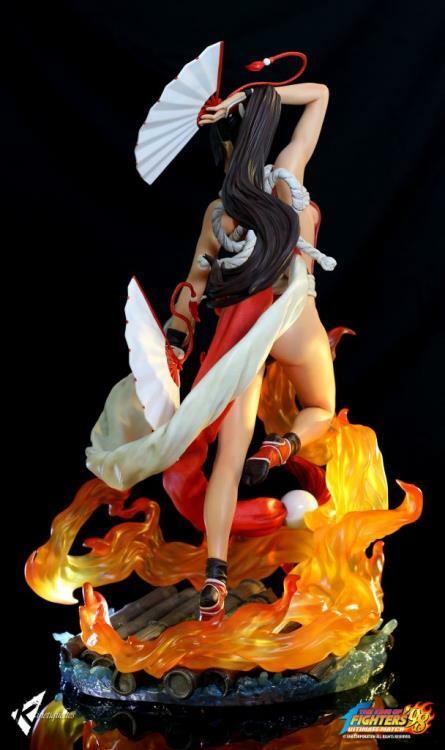 The base of this statue is inspired by her iconic Fatal Fury stage depicting the bamboo raft on water as she gracefully steps over it. 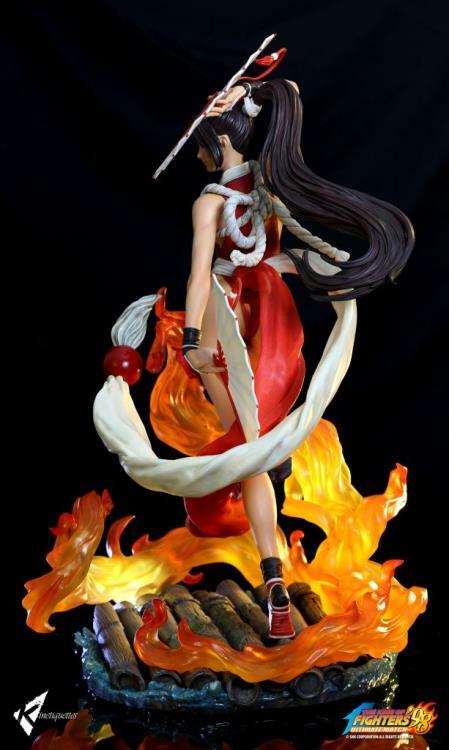 For the first time in Kinetiquettes' history, the maquette features mesmerizing acrylic eyes and hyper-realistic translucent resin skin; and clear resin for the flames to achieve the best interpretation of this character to date.